Millions of Americans take legally prescribed Valium and other tranquilizers to cope with stress and crises. But there are many who abuse these drugs: Nearly 5% of adults report some nonmedical use of tranquilizers in the course of a year. This book describes the basic chemical elements of these popular antianxiety drugs, known as the benzodiazepines, and offers a scientific survey of their use and abuse. The proved usefulness of minor tranquilizers is described, as are the hazards of prolonged intake and the role of tranquilizers in multidrug abuse. 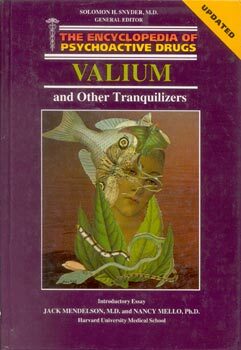 Ways of recognizing and handling the abuse of Valium and other benzodiazepines are discussed, and alternatives to these drugs are offered.